GOD COMMANDS ALL PEOPLE EVERYWHERE TO KEEP HIS SABBATH ON SATURDAY, THE SEVENTH DAY OF THE WEEK. Shalom. Our teaching will continue from The Law of Moses, The Word of GOD, from Numbers 15.32-36. AND THE TITLE OF OUR TEACHING IS, GOD COMMANDS ALL PEOPLE EVERYWHERE TO KEEP HIS SABBATH ON SATURDAY, THE SEVENTH DAY OF THE WEEK. And with that said, let’s read Numbers 15.32-36. ISRAEL IS THE ONLY COUNTRY IN THE WORLD THAT OBEYS THE GOD OF THE WHOLE EARTH BY KEEPING HIS SABBATH ON SATURDAY, THE SEVENTH DAY OF THE WEEK, FROM SUNDOWN ON FRIDAY TO SUNDOWN ON SATURDAY. NO OTHER COUNTRY IN THE WORLD KEEPS GOD’S SABBATH BUT ISRAEL. EXODUS 31.12-17 Living in a Christian Nation that does not observe GOD’S Sabbath, nor does it obey GOD’S Laws that are written in the Law of Moses might make if difficult for many because your job and your employer require you to work on Saturday The Sabbath of The LORD. I believe, and this is my opinion, that GOD will not hold those responsible for working on Saturday because of false theologians who foolishly changed GOD’S Sabbath to Sunday, or another day. However, if you are fortunate to have Saturday off, treat GOD’S Sabbath as GOD commands you. Cease from all types of work, and worship The LORD YOUR GOD on Saturday in a good place of worship. (ISAIAH 56.6-7) GOD’S formula for Salvation is this. Keep the Sabbath on Saturday. Take hold of GOD’S Covenant, His Word and His Laws that are written in The Law of Moses. Then the sacrificial death of Messiah Yeshua for your atonement will be accepted by the LORD YOUR GOD. That is the path to eternal life in Heaven. One of the reasons Christianity has departed from GOD and His Sabbath on Saturday, and making Sunday their Sabbath, is because The Bible reads, “And on the first day of the week, Sunday, the Disciples and Apostles came together to break bread. And Paul preached to them”. Let’s look at some restrictions that GOD commands for The Sabbath Day on Saturday. YESHUA THE MESSIAH ALWAYS KEPT THE SABBATH ON SATURDAY. MARK 1.21, LUKE 4. 16-21, MARK 16.9. (MARK 16.9) RATHER THEN VIOLATE THE SABBATH, MESSIAH ROSE FROM THE DEAD ON SUNDAY. AND GOD RESTED ON THE SEVENTH DAY OF THE WEEK, SATURDAY, AND MADE SATURDAY FROM SUNDOWN FRIDAY TO SUNDOWN SATURDAY THE WEEKLY SABBATH, THE DAY OF REST FOR ALL PEOPLE EVERYWHERE. But sadly, the church has foolishly replaced The Sabbath of The LORD on Saturday to Sunday. And in so doing, Christianity has abolished GOD’S Sabbath for most all Christians. Big mistake. A very big mistake. Here’s Christian doctrine concerning The Sabbath of The LORD on Saturday from the Wycliffe Bible Dictionary. And I quote. In relevance today. Two views are held today concerning The Sabbath. (1) That it has been done away with completely. And that man needs one day of rest in seven. Many reformed theologians believe however, Wycliffe continues, that it is not possible to maintain that The Ten Commandments are no longer valid. They point out that Christ kept them in our stead for our justification-that they are done away with only as far as justification is concerned. And The New Testament writers quote them as applicable for our sanctification. Christ uses them (The Ten Commandments) in The Sermon on The Mount. (Matthew 5.21, 27, Paul in Romans 13.8-10, and James in James 2.10-12). Wycliffe continues, that since The Son of Man is LORD of The Sabbath, He had the right to change the day of its keeping for His church from the last day of the week to the first day. And did so in order that it might become a commemoration of His rising from the dead. This appears to many to be the only explanation, Wycliffe writes, that fits all the facts. Since The Sabbath was made for man, Christ changed its celebration to bless man. MY RESPONSE? NUTS. HOW DO YOU SPELL CONFUSION AND FOOLISHNESS? GOD’S SABBATH ON SATURDAY HAS NEVER BEEN DONE AWAY WITH OR CHANGED BY CHRIST OR ANYONE… CHECK THE SCRIPTURES. ANOTHER LIE THAT THE CHURCH TEACHES IS THAT THE MOSAIC LAW, THE LAW OF MOSES THAT IS WRITTEN IN THE FIRST FIVE BOOKS OF THE BIBLE, AND THE TEN COMMANDMENTS IN PARTICULAR ARE NO LONGER BINDING. WHAT god DO THEY SERVE? CERTAINLY NOT THE MESSIAH JESUS, THE HOLY ONE OF ISRAEL. THE GOD OF THE WHOLE EARTH. ANOTHER LIE OF THE CHURCH IS THAT CHRIST KEPT THE TEN COMMANDMENTS IN OUR STEAD. DON’T THEY READ THE BIBLE? GOD COMMANDS ALL PEOPLE EVERYWHERE TO REPENT LEST THEY PERISH. REPENT MEANS TO TURN FROM YOUR SINS, 1 JOHN 3.4, OF BREAKING THE LAW OF MOSES, TO OBEYING THE LAW OF MOSES THAT INCLUDES THE TEN COMMANDMENTS. IN EZEKIEL 18.21 AND 2 KINGS 17.13, THE WORD TURN IN HEBREW IS SHOOV MEANING TO REPENT. CHRIST NEVER CHANGED THE SATURDAY SABBATH OF GOD TO SUNDAY. THE CHURCH DID. AND CHANGING GOD’S SABBATHS, OR LAWS, OR COVENANTS, OR ANYTHING GOD SPOKE DOES NOT BRING BLESSINGS, BUT CURSES. NO MAN CAN CHANGE ANYTHING OF GOD. HIS SABBATHS, HIS WORD, HIS LAWS, OR HIS COVENANTS. BECAUSE THE WORD OF GOD STAND FOREVER. GOD HIMSELF CAN NOT CHANGE HIS SABBATH, OR HIS WORD, OR HIS LAWS THAT ARE WRITTEN IN THE LAW OF MOSES, OR ANYTHING THAT HE HAS SPOKEN IN THE BIBLE. SO IF YOU HEAR, OR THINK YOU ARE READING THAT PAUL, OR PETER, OR JAMES, OR CHRIST, OR ANYONE HAS CHANGED ANYTHING THAT GOD HAS SPOKEN IN THE BIBLE, DON’T BELIEVE IT. BECAUSE NOBODY, NOT EVEN GOD HIMSELF CAN CHANGE WHAT HE HAS DECREED. ARE YOU FAMILIAR WITH THE WORD IMMUTABLE? IMMUTABLE MEANS UNCHANGEABLE. GOD DOES NOT CHANGE. HE DOES NOT CHANGE HIS MIND NOR DOES HE CHANGE HIS WORD. THE LAW OF MOSES WRITTEN IN THE FIRST FIVE BOOKS OF THE BIBLE, IS THE FOUNDATION OF THE ENTIRE BIBLE FROM GENESIS THROUGH REVELATION. BECAUSE THE WORD OF GOD STANDS ON THAT FOUNDATION, THE LAW OF MOSES. AND THAT FOUNDATION NEVER CHANGES. (MATTHEW 7.24-27) MESSIAH’S SAYINGS COME FROM THE LAW OF MOSES, AND THE PROPHETS, AND THE WRITINGS IN TNAKH, THE OLD TESTAMENT SCRIPTURES. THE WISE MAN WHO BUILT HIS LIFE UPON GOD, AND HIS WORD THAT INCLUDES GOD’S LAW OF MOSES, BUILT HIS LIFE UPON A ROCK. THAT ROCK IS GOD. AND GREAT TROUBLES CAME INTO HIS LIFE, AND BEAT UPON HIM. BUT HE DID NOT FALL BECAUSE HIS LIFE WAS BUILT UPON GOD AND HIS WORD AND HIS LAWS THAT ARE WRITTEN IN THE LAW OF MOSES. BUT THOSE WHO BUILD THEIR LIFE UPON SAND, NOT OBEYING GOD, NOT OBEYING HIS SABBATH, NOT OBEYING GOD’S LAWS THAT ARE WRITTEN IN THE LAW OF MOSES, THAT PERSON WILL FALL, AND GREAT WILL BE HIS FALL, MESSIAH SAYS, WHEN GREAT TROUBLES COME INTO HIS LIFE. THE CHURCH MUST GET BACK TO THE FUNDAMENTALS OF THE BIBLE, AND DUMP THE FALSE THEOLOGIANS . THE FUNDAMENTALS OF THE BIBLE ARE WRITTEN IN THE FIRST FIVE BOOKS OF THE BIBLE CALLED THE LAW OF MOSES, ALONG WITH YOUR FAITH IN MESSIAH YESHUA WHO GIVES YOU ATONEMENT FOR YOUR SINS. MESSIAH YESHUA IS THE NEW COVENANT THAT FORGIVES YOU YOUR SINS, PROMISED BY GOD TO THE JEWISH PEOPLE IN JEREMIAH 31.31-34. GOD ALMIGHTY HAS GIVEN THE MESSIAH YESHUA TO ALL THE WORLD FOR YOUR ATONEMENT BECAUSE GOD SO LOVED THE WORLD. Posted on July 31, 2016 Categories Shabbat MessageLeave a comment on GOD COMMANDS ALL PEOPLE EVERYWHERE TO KEEP HIS SABBATH ON SATURDAY, THE SEVENTH DAY OF THE WEEK. ELOHIM IS MESSIAH YESHUA, THE REDEEMER, OUR SAVIOR, THE HOLY ONE OF ISRAEL, THE GOD OF THE WHOLE EARTH. Shalom. Our teaching from The Law of Moses, The Word of GOD will continue from Numbers 15.22-31. AND THE TITLE OF OUR TEACHING IS, ELOHIM IS MESSIAH YESHUA, THE REDEEMER, OUR SAVIOR, THE HOLY ONE OF ISRAEL, THE GOD OF THE WHOLE EARTH. And with that said, let’s read Numbers 15.22-31. That is fact. GOD spoke those Words to Moses. And we receive GOD’S spoken Word by faith that GOD is Truth. GOD created the heavens and the earth, and all that is in them. In the beginning of the spoken Word of GOD in The Bible, it is written of the inexplicable power of THE MIGHTY GOD. He alone created the heavens and the earth. And He incomprehensibly spoke the heavens and the earth into existence. In the first day of GOD’S Creation, a twenty-four hour day from sundown to sundown, GOD spoke light into existence. And the light was GOD Himself. And GOD divided the light from the darkness. And He called the light day, and the darkness He called night. In the second day of Creation, GOD spoke into existence the sky. And He divided the waters which were under the sky from the waters that were above the sky. And GOD called the sky Heaven. In the third day of the Creation, GOD said, “Let the waters under the heaven be gathered together into one place. And let the dry land appear. And GOD called the dry land earth, and the gathering together of the waters GOD called the seas. And GOD spoke the grass into existence, and the herb yielding seed, and the fruit trees yielding fruit GOD called into existence. In the fourth day of GOD’S Creation, GOD spoke the sun and the moon into existence. And GOD made the stars also. And they gave light upon the earth to rule over the day and night. In the fifth day of Creation, GOD spoke into existence the fish, and the birds, and the great whales, and every living creature in the waters. And GOD spoke into existence all the large four legged animals, and the creeping things. In the sixth day of the Creation, GOD said, “LET US MAKE MAN IN OUR IMAGE AFTER OUR LIKENESS. IN GENESIS 1.26, GOD SAID “LET US MAKE MAN IN OUR IMAGE, AFTER OUR LIKENESS” WHICH IS IN THE PLURAL THAT SEEMS TO IMPLY THAT THERE IS MORE THAN ONE CREATOR. HOW CAN THAT BE SEEING THERE IS ONLY ONE GOD? We’ll return to that question in a moment. But let’s continue with the seventh day when GOD ended His work. In the seventh day, or Saturday, GOD ended His work which He had made. The heavens and the earth were finished, and all the host of them. That is, all that were in them. And GOD rested on the seventh day from all His work which He had created and made. And GOD blessed the seventh day, Saturday, and Sanctified it. That is, GOD made the seventh day Saturday Holy because GOD rested on that day from all His work that He created. Saturday is not the Jewish Sabbath. Saturday is the Sabbath of GOD for all mankind. The Hebrew for GOD in this passage is ELOHIM. ELOHIM means GODS, G-O-D-S. In the beginning G-O-D-S created the heavens and the earth. YET THERE IS ONLY ONE GOD WHO CREATED THE HEAVENS AND THE EARTH. AND HE DID SO BY SPEAKING THEM INTO EXISTENCE. If you only read the first Chapter of Genesis, and put The Bible down, never to return to it again, you would think, because GOD said, “Let US make man in OUR image,” there were many gods, and many creators. But that would be a gross error. But when you continue reading The Bible, intensely studying it, even asking GOD for help in understanding, because GOD wants you to know, and believe Him. And understand that THERE IS ONLY ONE GOD, AND NO OTHERS BESIDE HIM. Because GOD says numerous times in The Scriptures that THERE IS ONLY ONE GOD, AND THERE ARE NO OTHERS BESIDE HIM. The doctrine of the trinity is not one GOD but three different gods. That is not Biblical. It is pagan. AND OF COURSE JOHN 17 THAT SHOWS MESSIAH YESHUA SPEAKING TO THE FATHER IN HEAVEN. THE FIRST THING YOU MUST DO TO KNOW AND UNDERSTAND GOD IS TO BELIEVE GOD. BELIEVE GOD WHEN HE SAYS THERE IS ONLY ONE GOD AND NO OTHERS. I AM HE. THAT IS STEP NUMBER ONE. Then you should study certain important scriptures that are important in teaching you that the ONE GOD IS ELOHIM. ISAIAH 9.5, CHRISTIAN BIBLE ISAIAH 9.6 GOD SPOKE THESE WORDS IN PROPHESY TO THE PROPHET ISAIAH TO PASS ON TO ALL MANKIND. THE CHILD BORN TO THE JEWISH PEOPLE, AND THE SON GIVEN TO THE JEWISH PEOPLE IN THE FLESH IS THE MIGHTY GOD, AND HE IS THE EVERLASTING FATHER. THAT CHILD BORN TO THE JEWISH PEOPLE, AND THAT SON GIVEN TO THE JEWISH PEOPLE WHO IS THE MIGHTY GOD AND THE EVERLASTING FATHER IS THE MESSIAH YESHUA WHO IS GOD ALMIGHTY, THE GOD OF THE WHOLE EARTH. THUS GOD THE FATHER AND GOD THE MESSIAH ARE THE SAME GOD. SO WHEN YOU READ IN JOHN 17, THAT MESSIAH YESHUA WHO IS THE MIGHTY GOD AND THE EVERLASTING FATHER SPEAKING TO THE FATHER IN HEAVEN, THAT IS ROUTINE FOR GOD. BECAUSE THAT IS THE DIVINE BEING OF GOD. GOD IS THE FATHER. GOD IS THE MESSIAH YESHUA. GOD IS THE SON OF GOD. GOD IS THE SPIRIT OF GOD. AND GOD IS THE HOLY SPIRIT. GOD IS ELOHIM. ALL THE ONE AND THE SAME GOD WITHOUT ANY DIFFERENCES. THAT IS WHY GOD SAID IN GENESIS 1.26, LET US MAKE MAN IN OUR IMAGE AFTER OUR LIKENESS. AND GOD ALMIGHTY, THE HOLY ONE OF ISRAEL, THE GOD OF THE WHOLE EARTH GAVE HIS LIFE AS A HUMAN BEING FOR YOUR ATONEMENT. HIS NAME IS YESHUA. HIS TITLE IS MESSIAH..
MICAH 5.1, Christian Bible Micah 5.2 As a human being Messiah Yeshua was born in Bethlehem to the Jewish People. BUT MESSIAH YESHUA, WHO HAS NO BEGINNING OR END IS THE MIGHTY GOD, AND THE EVERLASTING FATHER. MESSIAH YESHUA IS ELOHIM, THE ONE GOD OF CREATION. GOD is not limited to being in one place at one time like us. GOD is GOD. He can be anywhere and everywhere in physical form all at the same time because He is GOD, The Creator of Heaven and earth. Concerning our study verses in Numbers 15.22-31. When you have Messiah Yeshua for Atonement, and The Holy Spirit to guide you into all Truth, obeying GOD’S Law of Moses. However the person who reproaches GOD, continuously disobeying His Law of Moses, GOD will cut that person off from His people. Because GOD says, that person has despised The Word of The LORD. YESHUA THE MESSIAH IS GOD ALMIGHTY, HA SHEM, THE FATHER, THE SPIRIT OF GOD AND THE HOLY SPIRIT OF GOD. HE IS YOUR REDEEMER, YOUR SAVIOR WHO DELIVERS YOU FROM YOUR SINS. WHO GUIDES YOU INTO ALL TRUTH. THE HOLY ONE OF ISRAEL, THE GOD OF THE WHOLE EARTH WHO TEACHES YOU TO PROFIT AND EXCEL. WHO LEADS YOU BY THE WAY YOU SHOULD GO, OBEYING HIS LAW OF MOSES. WHO LOVES YOU WITH AN EVERLASTING LOVE. WHO GIVES YOU PEACE AS A RIVER, AND YOUR RIGHTEOUSNESS AS THE WAVES OF THE SEA. WHEN YOU OBEY HIS EVERY WORD, AND KNOW AND BELIEVE THAT GOD IS GOD, THE ONE GOD OF CREATION. Posted on July 24, 2016 July 27, 2016 Categories Shabbat MessageLeave a comment on ELOHIM IS MESSIAH YESHUA, THE REDEEMER, OUR SAVIOR, THE HOLY ONE OF ISRAEL, THE GOD OF THE WHOLE EARTH. IN THE PAST, GOD OVERLOOKED IGNORANCE. Shalom. Our teaching will continue in Torah, The Law of Moses, the Written Word of GOD, from Numbers 15.22-24. AND THE TITLE OF OUR MESSAGE IS, IN THE PAST, GOD OVERLOOKED IGNORANCE. And with that said, let’s read Numbers 15.22-24. Again, The LORD is speaking to Moses Face to face in the Tabernacle in the wilderness the things that GOD commanded the Children of Israel. Everything GOD commanded Moses to give to the Children of Israel is written in The Law of Moses. Before the death, burial, and resurrection of the Jewish Messiah Yeshua, the world, except for Israel and the Jewish People, had no knowledge of GOD. Call it ignorance. Being unaware and uninformed. And the world, except for Judaism, was given over to paganism, the belief in many gods, and idolatry, the worship of idols that represented their gods. And laws and teachings contrary to The Laws and Teachings of The GOD of Israel, The GOD Of The Whole Earth. And pagan ignorance of GOD moved them to human sacrifices, and necromancy, consulting the dead. And magic, and divination, the practice of witchcraft. And seeking wizards, and witches, and charmers. And so many more anti-GOD abominations. Practices that go back to ancient Egypt, and Canaan. And ancient Greece and ancient Rome. And many of those pagan practices continue today. The ancients, according to Webster’s Dictionary are the Greeks, Romans, Hebrews, and Egyptians. A pagan, according to Webster’s Dictionary is one of a people or community observing a polytheistic religion, the belief in more than one god or many gods, as ancient Romans and Greeks. The Greeks, a polytheistic people who believed in more than one god or many gods translated The New Testament Scriptures from the original Hebrew of the Jewish writers into Greek. My point is this. satan will do everything in his power to lead you astray from the true written Word of GOD having pagan Greek translators translating the Hebrew Scriptures of The New Testament. Thus to be sure you are reading The Truth, or hearing The Truth, what you read or hear must agree with GOD’S Laws, Teachings, and Instructions that are Written in the first five Books of the Bible called The Law of Moses. The Written Word of GOD. Because the Written Word of GOD is The Truth, the whole Truth, and nothing but The Truth. If what you read or hear is not in agreement with GOD’S Laws, Teachings and Instructions that are written in The Law of Moses in the first five Books of The Bible, what you are reading or what you are hearing is wrong. For example, if you read or hear that The Law of Moses has been abolished, or told of the trinity that the father, the son, and the spirit are three distinct and different gods, those things are certainly not in GOD’S Written Word, The Law of Moses. They are wrong, and they are false teachings of satan. And they are of pagan origin. Thus GOD chose the Jewish People to tell the world about GOD. His Word, His Laws, His teachings and Instructions. And that there is Only One GOD and no others beside Him. But to this current day, the world for the most part rejects GOD. They have rejected the truth of GOD’S Written Word in The Bible. And by and large, the world rejects the Jewish People, GOD’S chosen people whom GOD assigned to write the entire Bible to bring the world out of darkness and ignorance. A place where satan is delighted to have humanity remain, in darkness and ignorance. Generally speaking, the world rejects GOD’S Laws that are written in The Law of Moses. They reject GOD’S Sabbath on Saturday. And all GOD’S Sabbaths. They reject the Festivals of GOD written in Leviticus 23. They reject GOD’S food Laws written in Leviticus 11 and Deuteronomy 14. And more often than not make Jesus Christ another god who has abolished GOD’S Laws that are written in The Law of Moses. And they have abolished GOD’S Teaching that He is The One GOD of Creation. But rather believe in a trinity of three different and distinct gods. satan has kept much of the world in paganism. satan is a liar and a murderer. he never stood in The Truth. And much of the world follow satan and reject The Holy One of Israel, The GOD Of The Whole Earth. Evil is not only the evil as we think evil is. Evil in the sight of GOD also means disobedience to GOD. So GOD brought the flood that killed all humanity in the days of Noah. But GOD saved Noah and his family, a total of eight people. Because GOD said, Noah was a just man and perfect in his generations. And Noah walked with GOD. That is to say, Noah believed in GOD, and obeyed Him. He obeyed GOD’S Laws of his day. Believing GOD that GOD is The One and Only GOD. He kept GOD’S Sabbath on Saturday, the seventh day of the week. And he kept GOD’S dietary laws of clean and unclean animals and birds. Most people today don’t even keep those three Laws. But mankind has an adversary who opposes and attacks people. he is the arch-enemy of good. he is the well-known crafty and sly satan. GOD introduced satan, the liar, deceiver, and murderer at the very beginning of the Creation in the Garden of Eden that was perhaps a whole lot like Heaven. No sin, no curse, no lies, no sickness, or death. But absolute beauty and eternal life. But here’s the problem. Everybody knows this story of satan, the liar, deceiver, and murderer who never stood in The Truth. But most everybody walks past that satanic event with their eyes shut tight, following the lies of satan rather than walking in The Truth of GOD. You know the event. At the time, the world’s population was two. Adam and Eve. Hebrew names or words meaning human being, and life giver. And The LORD GOD appeared to Adam, and commanded him, yes, commanded him, saying, Of every tree of the Garden you may freely eat. But the tree of the knowledge of good and evil, you shall not eat of it. For in the day that you eat of that tree, YOU WILL SURELY DIE. A very simple Commandment of GOD. Do not eat of that tree. But a very stern warning for disobeying GOD. Death. So, as you know, satan shows up on the scene, as a snake. Now there are two people on the earth, plus GOD, and now satan the snake. But Adam and Eve don’t know that satan is a liar and a murderer who never stood in The Truth. But they do know what GOD Commanded them. Do not eat from that tree lest you die. Like Adam and Eve, most people today do not fear GOD, nor do they obey Him. And that is of satan also. So satan the snake appears to Eve, and sweet talks Eve, and says, “Has GOD said you shall not eat of every tree in the Garden?” And Eve said to satan, “We may eat of the fruit of the trees of the Garden, but of the fruit of the tree that is in the center of the Garden, GOD has said, you shall not eat of it, nor touch it, lest you die. And the serpent satan the liar and murderer said to Eve, “You will not surely die. And like so many Bible teachers who read The Truth in The Law of Moses written in the first five Books of The Bible, many Bible teachers are like satan who gave Eve a corrupt reason to disobey GOD. And so many Bible teachers do the same as satan. They give us corrupt and lying reasons not to obey GOD’S Laws that are written in The Law of Moses. Telling us we will not die for disobeying GOD. But rather, these many Bible teachers teach us that we will have eternal life in Heaven with GOD. Now that is deception, delusion, and murder, and stupid. BECAUSE REPENTANCE FOR ETERNAL LIFE REQUIRES OBEDIENCE TO GOD AND HIS LAWS THAT ARE WRITTEN IN THE LAW OF MOSES. The word “believe” in the Greek, as in, “whosoever believes in Him,” is the Greek word PISTEUO. Meaning, to have faith in Messiah Yeshua, Who is The Holy One of Israel, The GOD Of The Whole Earth. And to OBEY GOD’S Laws that are written in The Law of Moses. All human beings everywhere who believe in Messiah Yeshua must repent. You must turn from all your sins. Sin is breaking The Law of Moses. 1 John 3.4. And turn to GOD, and obey all His Statutes, all His Laws that are written in The Law of Moses in the first five Books of The Bible. That is Biblical faith in Messiah Yeshua. And that is eternal life in Heaven. EZEKIEL 18.21 But if the wicked will turn from all his sins that he has committed, and keep all My Statutes, and do that which is lawful and right, he shall surely live. He shall not die. The word “turn” in Hebrew is SHOOV meaning Repent. So when Paul and the other Jewish Apostles and Disciples of Messiah Yeshua went out to witness and testify The Messiah Yeshua in Jerusalem, Judea, Samaria, and the uttermost parts of the earth, they taught and preached Messiah Yeshua from Tnakh, The Old Testament. Including The Law of Moses that never ends or changes. There was no written New Testament at the time of the Apostles and disciples. Unfortunately today, so many of satan’s messengers teach the lie of satan, saying, “You don’t have to obey The Law of Moses. Jesus did away with it at the cross. Or you will lose your Salvation if you obey The Law of Moses.” The same movie we read about in the Garden of Eden. The same lie. And the same death unless you repent. The Repentance taught by GOD through the Prophet Ezekiel in Ezekiel 18.21 is the same in the Old Testament as it is in the New Testament. You have atonement in Messiah Yeshua. Now GOD Commands you to turn from your sins of breaking The Law of Moses, 1 John 3.4, to living by GOD’S Laws that are written in the Law of Moses. And you will live and not die. That is repentance. Before the death, burial, and resurrection of The Jewish Messiah Yeshua for Atonement, The Law of Moses applied only to Jewish People, and Gentiles living in Israel. But now with the coming of The Messiah Yeshua, “For GOD so loved THE WORLD that He gave His only begotten Son, that whosoever believes in Him should not perish, but have everlasting life.” Now The Law of Moses applies to all humanity everywhere. And now GOD Commands all people everywhere to repent. Let’s look at some Scriptures concerning repentance that back up this teaching. ACTS 26.19-20 Works worthy of repentance is obedience to Torah, The Law of Moses. So you might ask, how do I know if someone is teaching The Truth? A false prophet is a religious impostor. GOD no longer overlooks ignorance. You must repent according to GOD’S teaching in Ezekiel 18.21, and you will live. Posted on July 17, 2016 July 20, 2016 Categories Shabbat MessageLeave a comment on IN THE PAST, GOD OVERLOOKED IGNORANCE. THE HOLY ONE OF ISRAEL. THE GOD OF THE WHOLE EARTH SHALL HE BE CALLED. Shalom. Our teaching will continue from Torah, The Law of Moses, from Numbers 15.17-21. AND THE TITLE OF OUR MESSAGE IS, THE HOLY ONE OF ISRAEL. THE GOD OF THE WHOLE EARTH SHALL HE BE CALLED. And with that said, let’s read Numbers 15.17-21. NUMBERS 15.17-18 The LORD GOD, THE HOLY ONE OF ISRAEL, THE GOD OF THE WHOLE EARTH spoke to Moses and said, “When you come into The Land to which I bring you,” and The LORD proceeded to give Moses certain Laws. OF GREAT IMPORTANCE IS THIS. EVERY LAW, EVERY COMMANDMENT, EVERY TEACHING, AND EVERY INSTRUCTION THAT IS WRITTEN IN THE LAW OF MOSES, THE HOLY ONE OF ISRAEL, THE GOD OF THE WHOLE EARTH GAVE TO MOSES FACE TO FACE FOR ISRAEL AND ALL HUMANITY TO LIVE BY. MEANING THE LAW OF MOSES IS THE SPOKEN WORD OF GOD. (ISAIAH 54.5) Our Redeemer is Messiah Yeshua, The LORD of Hosts, The Holy One Of Israel, The GOD Of The Whole Earth, Who as a human being, by laying His Life down for us, made atonement for our sins that leads to Eternal Life in Heaven. The price He paid for our redemption? His death. (2 TIMOTHY 2.9) The Word OF GOD is not bound. The Word OF GOD goes out to the whole world. Of course the land was the land of Canaan, The Promised Land that GOD renamed The Land Of Israel. Israel was never Palestine. Palestine is a name the Romans gave to Israel in 135 A.D.
GOD renamed Canaan The Land Of Israel when the Children of Israel conquered Canaan, as GOD promised, and took possession of Canaan some 3,300 years ago. The word “give,” is written in The Bible some 150 times in connection with GOD giving The Land Of Israel to the Jewish People. As GOD said to Abraham, “I will give unto you and your seed after you (The Jewish People) the Land wherein you are a stranger, ALL the Land of Canaan for an everlasting possession. And I will be their GOD. Those Words were spoken by GOD some 778 years before the Children of Israel conquered the land of Canaan, and took possession of it. When GOD speaks, that is His Commandment. SO WHY DO THE NATIONS, ESPECIALLY THE CHRISTIAN NATIONS OF AMERICA AND EUROPE IGNORE THE WORD OF GOD THAT THE HOLY ONE OF ISRAEL, THE GOD OF THE WHOLE EARTH HAS SPOKEN AND COMMANDED? WHY DO THE NATIONS BULLY ISRAEL ALMOST DAILY TO SURRENDER THEIR GOD GIVEN LAND TO THE PALESTINIAN ARABS? It has been said that prior to 1948, the Jews were mocked for not having a Nation State. Now they are criticized for having their own Nation State. And are even more criticized for their stubborn determination to defend it. The United States and Europe, Christian nations who supposedly live their lives according to the Written Word OF GOD in The Bible, bully Israel almost daily to surrender their Land to Israel’s greatest enemy who seek to destroy her, the Palestinian Arabs. The United States administrations, and so many other Nations, since the six day war of 1967, bully Israel with laughable two state solutions to give up her GOD Given Land to their enemy. And the motto of the United States is, IN GOD WE TRUST. True. The world, except Israel and the Jewish People, reject the Law of Moses, The Written Word OF GOD. The Land of Israel does not belong to the Arabs, or any other people. 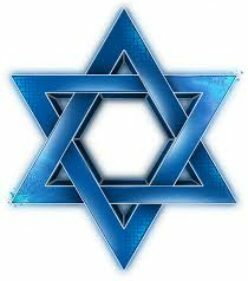 Israel belongs to the Jewish People because GOD, The Holy One Of Israel, The GOD Of The Whole Earth has given the Land of Israel to the Jewish People for an everlasting possession. And Judaism’s Title Deed for the Land of Israel is The Bible. The LORD GOD says in The Bible that HE HIMSELF will gather all the nations against Jerusalem to battle. And for the nations, the result will not be pretty. Because THE GOD OF ISRAEL will destroy all those armies who will fight against Jerusalem with a plague that will melt their bodies. Their flesh will consume away while they stand upon their feet, and their eyes will consume away in their holes, and their tongue will consume away in their mouth. Let’s move on to NUMBERS 15.17-19, FOCUSING ON VERSE 19. Some Bibles read, “You shall set some aside as a gift to The LORD.” Other Bibles read, “You shall set aside a portion for The LORD. So, I took the Words of Numbers 15.19 from a book published by the Hebrew Publishing Company of New York titled, The Pentateuch with Haftaroth and Five Megiloth. Or the Five Books of Moses with the Prophetic Books and the Five Books of Esther, Lamentations, Song of Songs, Ruth, and Ecclesiastes. A heave offering in Hebrew is T’ROO’MAH meaning, a heave offering raised, and lifted up to The LORD. The heave offering was a cake of the first dough. That cake in Hebrew is KHA’LAH, a khalah bread. The point is this. And I have no Scripture to back it up other than fact. I believe that the heave offering raised and lifted up to The LORD is prophetic of the resurrection of the Jewish Messiah Yeshua, and the future resurrection of the just. The just being those who have Atonement in The Messiah Yeshua, and lived by GOD’S Law of Moses, The Written Word OF GOD. Just as the waving of the sheaf, the omer, a dry measure of grain was raised up by the Priest before The LORD during Passover the day after the Sabbath, Messiah Yeshua was raised up and resurrected the day after the Sabbath on Sunday. (1 PETER 1.3) Because of Messiah Yeshua’s resurrection, we have the hope and expectation of a similar resurrection to Heaven, or GOD will bring us into the 1,000 year Kingdom on earth in Israel. (ACTS 24.14-15) Paul believed in Torah, The Law of Moses, and the Prophets. And he obeyed The Law of Moses and the Prophets. And Paul taught The Law Of Moses and The Prophets in the New Testament. And Paul had hope toward GOD that there will be a resurrection of the dead. Both of the just and the unjust. The Hebrew word for the “just” is STAH’DEEK meaning Law-abiding, Righteous, Living according to The Law of Moses. NUMBERS 15.19-21 According to the Rabbis in the Talmud, the heave offering of the khalah bread brought blessings to the homes of the non-farmer as well because it constitutes their labor. Perhaps. But I believe that the heave offering is prophetic of the resurrection of The Jewish Messiah Yeshua, and the hope of the just that we have for our resurrection to eternal life in Heaven, or The LORD OUR GOD bringing us into the 1,000 year Kingdom on earth in Israel that will be like the Garden of Eden, Isaiah 51.3. Because we have Atonement in Messiah Yeshua, and repented, and lived our life according to The Law of Moses, The Written Word of GOD. Posted on July 10, 2016 July 14, 2016 Categories Shabbat MessageLeave a comment on THE HOLY ONE OF ISRAEL. THE GOD OF THE WHOLE EARTH SHALL HE BE CALLED. ONE LAW SHALL BE FOR THE JEWISH PEOPLE AND THE NON-JEWISH PEOPLE. Shalom. Our teaching this morning will continue from Torah, The Law of Moses from Numbers 15.1-16. AND THE TITLE OF THIS TEACHING IS, ONE LAW SHALL BE FOR THE JEWISH PEOPLE AND THE NON-JEWISH PEOPLE. And with that said, let’s read Numbers 15.1-16. Without the Temple in Jerusalem, the sacrificial system is suspended according to GOD’S Torah, His Law of Moses. And of course, Yeshua The Messiah, by His sacrificial atoning death is our Atonement for the forgiveness of our sins. According to hundreds of prophesies in TNAKH, The Old Testament Scriptures, and fulfilled in The New Testament, Messiah Yeshua is our Atonement. GOD has made His Soul an offering for our sins. However, the sacrificial system will be reestablished when the Temple is rebuilt in Jerusalem during a future seven year peace treaty. But after three and one half years, The LORD will destroy that Temple because of idolatry and abominations of an anti-Christ who will erect those abominations in the Temple. Thus ending the sacrifice. And I believe that shortly after The LORD destroys that Temple, The LORD GOD, HA SHEM MESSSIAH YESHUA, will return from Heaven to Israel and establish His 1,000 year Kingdom on earth in the Land of Israel. And He will reign over all the earth from Jerusalem, and reinstate the sacrificial system and the Priesthood in His newly established Temple. LEVITICUS 17.8-9, ISAIAH 53.10, DANIEL 9.27, JEREMIAH 23.3-8, ZECHARIAH 14.9, 20-21. So let’s review the sacrificial laws of the past that will again be reinstated in the Temple in the future during Messiah Yeshua’s reign on earth in Jerusalem for 1,000 years. Then we will talk about The One Law For The Jewish People and the non-Jewish people that GOD decrees. NUMBERS 15.1-5 The LORD spoke to Moses concerning the sacrificial offerings that the Children of Israel were to offer to The LORD when they enter the Promised Land which GOD has given to the Jewish People, the land of Canaan that GOD renamed Eretz Yisrael, the Land of Israel. Yeshua The Messiah is Ha Shem, The GOD of Israel. An offering by fire to The LORD is for various purposes. Either for atonement, or a vow, or a peace offering. Whatever the individual chose who is offering the sacrifice. And remember, the sacrifice can only be made by the Priests upon the altar at the Temple. Although an individual may bring the animal to the Priest for sacrifice. A sacrifice is made for an individual when he or she is performing a vow, a promise to The LORD. A freewill offering is a sacrifice made by an individual, but sacrificed by the Priest on the Temple altar as an act of devotion to The LORD. It is a voluntary offering. GOD established His sacrificial system to be made throughout the generations of His Jewish People when the Temple is standing in Jerusalem. Back to the sacrificial offerings. Along with the sacrificial offering to The LORD, the individual brought a grain offering of a tenth deal of fine flour, or about two quarts of flour, mingled with the fourth part of a hin of olive oil, or a quart of olive oil. A tenth deal is equal to about two quarts. A hin is equal to approximately one gallon. And the sacrifice was made by the Priest on the altar in the Temple courtyard. As a point of information, the primary purpose of Messiah’s first coming 2,000 years ago was to give His Life as a Sacrifice for our Atonement. Messiah’s death, exactly as it happened, was the Will of GOD. And His death was ordained by GOD for One purpose. Your atonement and mine. And it was the High Priest and the Elders of the Counsel called the Sanhedrin whom GOD ordained to sentence Messiah to death Whose Soul GOD has made an offering for our sins. That is the very reason Messiah Yeshua was put to death 2,000 years ago in Jerusalem. To be our Atonement for the forgiveness of our sins. As in the days of the animal sacrifice, it was the Priest who killed and sacrificed the animal. The High Priest Caiaphas had a key role in having Messiah put to death. Just as the Priest in the days of the animal sacrifice killed and sacrificed the animal for the atonement of the Jewish People, The High Priest Caiaphas was key in having Messiah Yeshua put to death by the Romans for the atonement of Messiah’s Jewish People and others throughout the world. ISAIAH 53.10-12, MATTHEW 26.57-68, JOHN 7.33, JOHN 14.19, JOHN 16.5, 16, 28, ETC. Let’s return to the animal sacrifice. The sacrifice of a lamb was prepared with a quart of wine for a drink offering. NUMBERS 15.6-12 The sacrifice of a ram was prepared with a grain offering of one gallon of fine flour mingled with three quarts of olive oil. And with a drink offering of three quarts of wine for a sweet savor to The LORD. And Messiah will be King over the Kingdom of Israel and all the earth when He returns to Israel in the future. Back to the animal sacrifice. When a bull was prepared for a burnt offering or sacrifice for performing a vow or peace offering to The LORD, a grain offering was brought with the bull of a gallon and a half of fine flour mingled with two quarts of olive oil, and a drink offering of two quarts of wine for an offering made by fire on the altar for a sweet savor to The LORD. The same was done for one bull, or for one ram, or for a lamb, or female goat according to as many animals that were prepared. For each one that was prepared regardless of how many animals there were. NUMBERS 15.13 Every Jewish Person born in Israel, and living in Israel was commanded by GOD to follow His Laws and Instructions concerning the animal sacrifice. NUMBERS 15.14 And GOD said, If a stranger, a non-Jewish person sojourns, or joins in with the Jewish People, or whosoever among you in your generations will offer an offering made by fire for a sweet savor To The LORD, AS YOU DO, SO SHALL THE NON-JEWISH PERSON DO. AS CONCERNING THE NON-JEWISH PERSON WHOSE SACRIFICIAL OFFERING IS THE MESSIAH YESHUA FOR ATONEMENT, AS THE JEWISH PERSON DOES, SO SHALL THE NON-JEWISH PERSON DO. AS THE JEWISH PERSON MUST LIVE A HOLY AND RIGHTEOUS LIFE ACCORDING TO GOD’S LAW OF MOSES, AND EVERY WORD GOD SPEAKS IN THE BIBLE, HAVING ATONEMENT IN THEIR MESSIAH YESHUA, SO MUST THE NON-JEWISH PERSON IN MESSIAH LIVE A HOLY AND RIGHTEOUS LIFE ACCORDING TO GOD’S LAW OF MOSES, AND EVERY WORD GOD SPEAKS IN THE BIBLE. THAT IS SALVATION, ETERNAL LIFE IN HEAVEN. FOR MESSIAH YESHUA SAID, SALVATION IS OF THE JEWS. THAT ONE LAW IS THE LAW OF MOSES. Most Bibles read, One Ordinance shall be both for you of the Congregation and also for the stranger that sojourns with you. An Ordinance forever in your generations. As you are, so shall the stranger be before The LORD. But that translation from the Hebrew, One ordinance shall be both for you of the Congregation and also for the stranger that sojourns with you, is not correct. The correct translation in English should read, One Ordinance shall be for you of the Congregation and also for the stranger. Meaning, One Law, The Law of Moses, shall be for the Jewish People and the non-Jewish people. The Hebrew reads, HA KAHAL KHUKAH AHKHAT LA KHEM V’LAGEHR HAGAR. As for the Congregation, there shall be One Law both for you and the stranger (the non-Jewish person). That One Law is The Law of Moses that has all GOD’S Laws written in it for all GOD’S creation throughout the world. Completing the verse, GOD says, A Law that never ends for your generations. As you are so shall the non-Jewish people be before JEHOVAH. That reads in Hebrew, KHUKAHT OLAM L’DOE’ROE’TAYKHEM KAH’KHEM KAHGEHR YE’H’YEH LEEFNAY YEHOVAH. A Law that never ends for your generations. As you are, so shall the non-Jewish people be before Jehovah. What’s the old expression? The LORD said it. I believe it. That settles it. The Law of Moses is for everybody. GOD said it. That settles it. And GOD is The Messiah Yeshua. NUMBERS 15.16 One Law and one ordinance shall be for you (the Jewish people) and for the non-Jewish person who joins in with you. GOD has only One Law for the entire world. That Law is The Law of Moses that has all GOD’s Laws written in it. GOD does not have a Law for the Jews, and no law for the Christians, and other laws for other religions. GOD has only One Law for His human creation. That Law is The Law of Moses. The New Testament teaches that all mankind, especially those who believe in Messiah Yeshua MUST obey The Law of Moses. Let’s just look at the Book of Acts, for the most part written AFTER Messiah’s death, burial, and resurrection, and ascension into Heaven. (ACTS 6.4,7) The ministry of the Word, and the Word Of GOD includes the Law Of Moses. ACTS 10. The unclean in Acts 10 is not food but Gentiles. Because Gentiles, by not obeying GOD’S Law of Moses, do not obey GOD. However when Gentiles believe in Messiah Yeshua for the forgiveness of their sins, and live by the Law of Moses, those Gentiles are also accepted by GOD. ACTS 11.1, 18 SEE EZEKIEL 18.21 The Word Of GOD includes the Law Of Moses. ACTS 12.24, ACTS 13.5, 9, 10 To pervert the right ways of The LORD is to reject GOD’S Laws that are written in The Law of Moses. ACTS 13,47-48 THE WORD OF THE LORD INCLUDES THE LAW OF MOSES. ACTS 14.15 When you turn to GOD, you obey every Word He speaks in The Bible, including The Law of Moses. One Law for all people. And with Messiah Yeshua, you have Salvation and Eternal Life. ACTS. 15.8-10 The yoke is the Talmud, man’s thousands of laws. GOD does NOT call you to follow Talmud. ACTS 24.14-15 The just obey The Law of Moses. The unjust reject The Law of Moses. The Church and most Messianic Congregations need to turn from their sins of breaking the Law of Moses, 1 John 3.4, and repent and turn to GOD, and obey His Law of Moses. And as GOD says in Ezekiel 18.21, He shall surely live. He shall not die. Because GOD says, One Law shall be for the Jewish People and the non-Jewish people. Posted on July 3, 2016 July 5, 2016 Categories Shabbat MessageLeave a comment on ONE LAW SHALL BE FOR THE JEWISH PEOPLE AND THE NON-JEWISH PEOPLE.